Not really knowing what to expect, we head up to Kings Canyon National Park. At an elevation of 6000+ feet, there are still pockets of snow on the ground, and all but one of the campgrounds are closed. The Ranger at the gate greets us, and wishes us a day of good hiking. 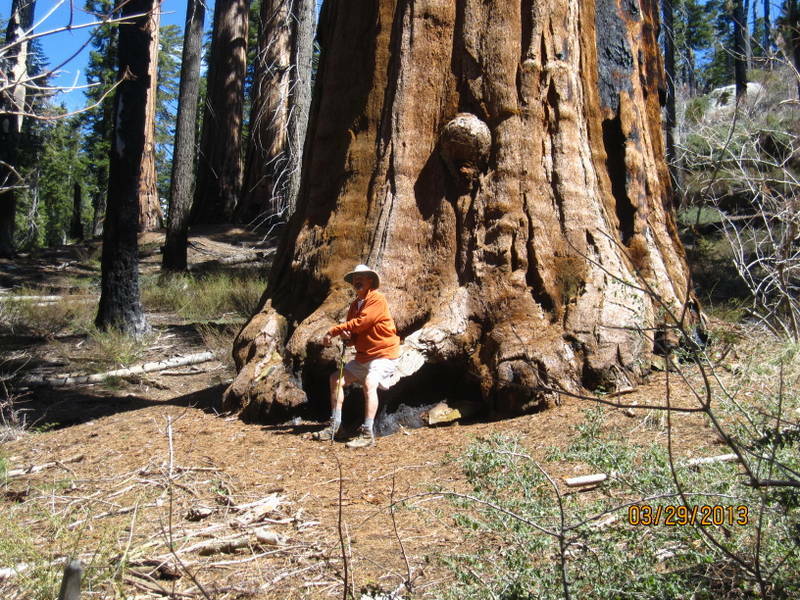 We’re off to find General Grant, the second-largest tree in the world. My lame descriptions and pathetic photos don’t do justice to this experience. So, just come here yourself and experience this. It’s humbling. John Crankshaw or John Muir? We arm ourselves with trail maps and set off to explore the North Grove. It’s magical – there is nobody else on the Trail at all, and the only sounds are our footballs, and a few woodpeckers. We try to catch a glimpse of any of the birds, but without binoculars, are unsuccessful. 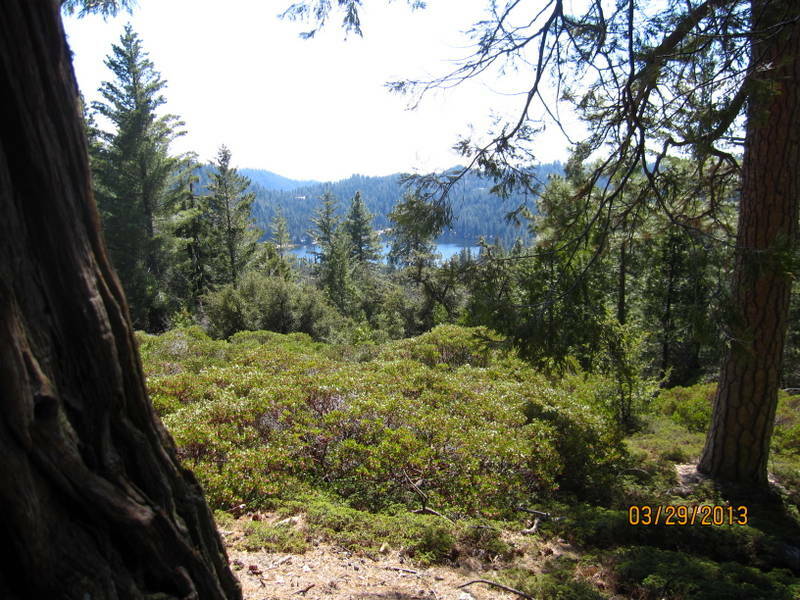 We find a collection of boulders in the sun, facing one of the giant Sequoias, and have lunch. 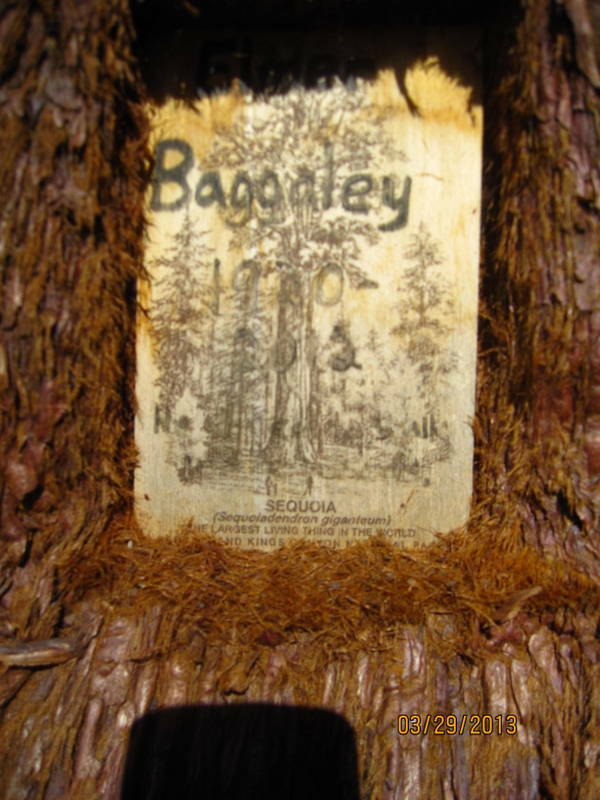 John discovers a little metal plate tacked on one tree – he surmises that the ashes of Ed Baggaley were sprinkled nearby. This plate was probably tacked on to the tree nearly 100 years ago. 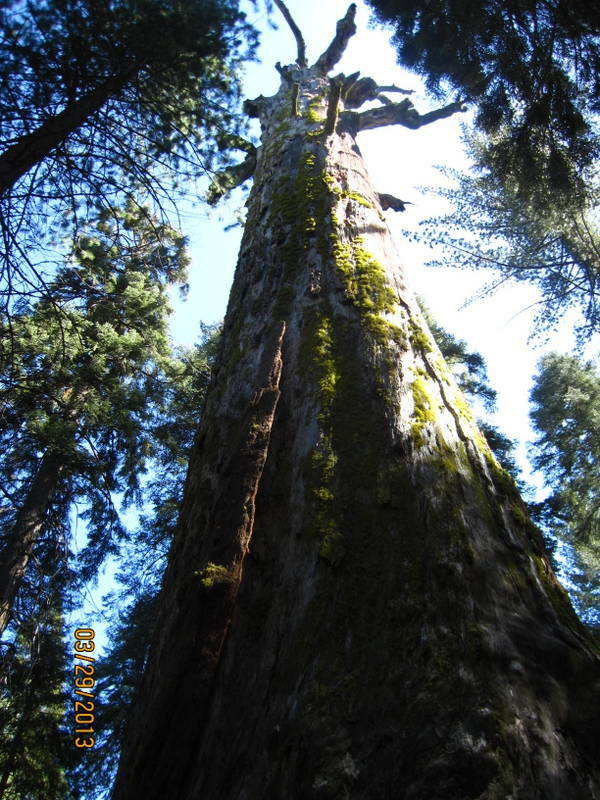 We wander past the Dead Giant, a still-standing dead Sequoia, and the Fallen Giant (you can probably guess…). On the way back to camp (about a 35 mile trip), we stop by the School House Restaurant & Tavern. Naturally, we have a General Sherman IPA – we’ll meet the General in a day or two at Sequoia National Park. 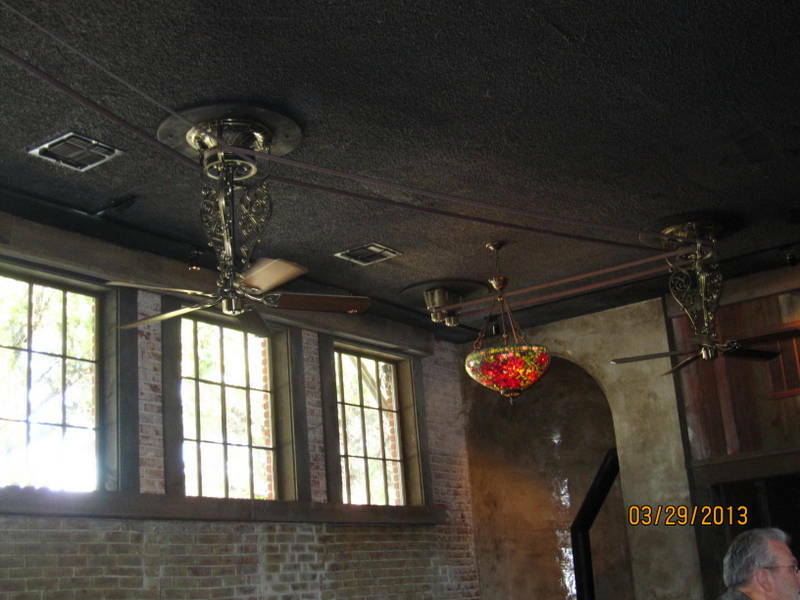 In the bar is a crazy set of ceiling fans. The center fan is connected by two large fan belts to to other fans on each side. Power to the center one drives the other two. Smart. We finish off our day with a terrific camp dinner of grilled pork chops, potatoes, and kale. Maybe just a nibble of chocolate for desert. Life is good. 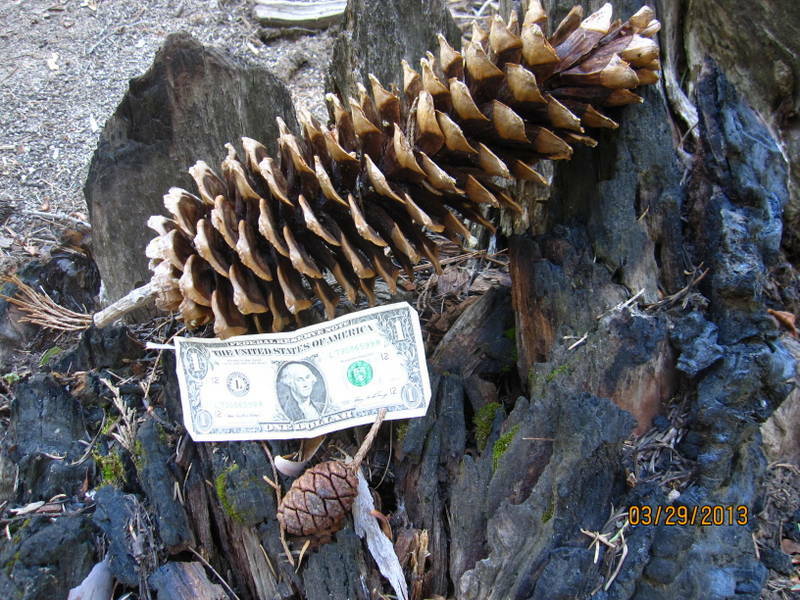 This entry was posted in beer, California, hiking, national parks and tagged California, hiking, historic sites, national parks by Judy Crankshaw. Bookmark the permalink.